Orange and saffron sand cake - home cooked food delivered. This light, moist and flavoursome “sand cake” is simply brilliant for afternoon tea, but works just as well served at a dinner party with a dollop of whipped cream. 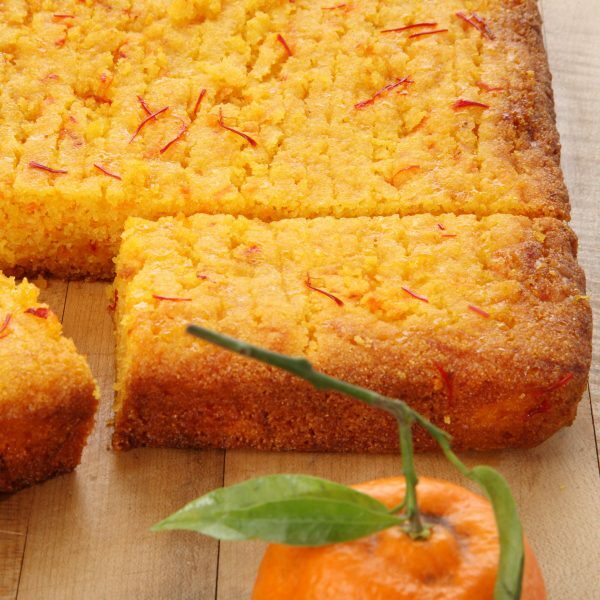 Saffron, orange and honey combine to provide a uniquely delicious taste. Free range eggs, unsalted butter (MILK),caster sugar, orange blossom water, ground almonds (NUTS), polenta (GLUTEN), baking powder, saffron, carrots, orange juice and zest, salt and honey. Place in an air tight container. Use within 3 days.